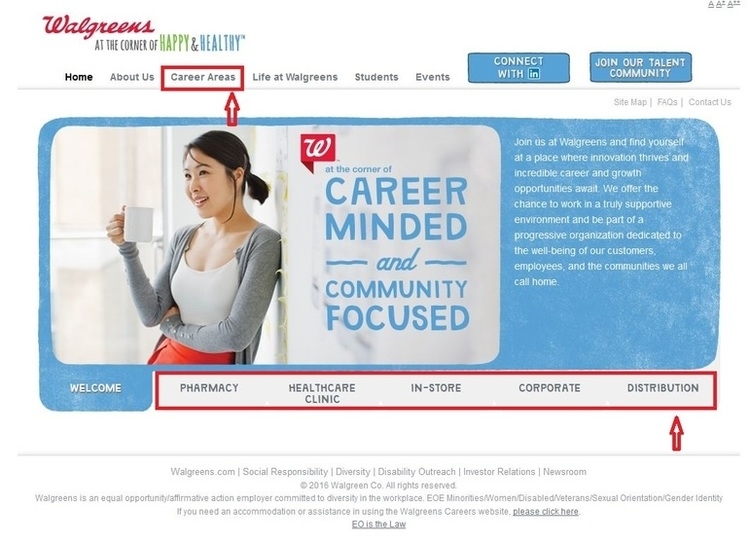 You need enter Walgreens careers page - walgreens.com/careers first to choose the career areas you intend to work at as the red arrows in the figure show. Also, you can know more about the company, as well as employee benefits, through this page. 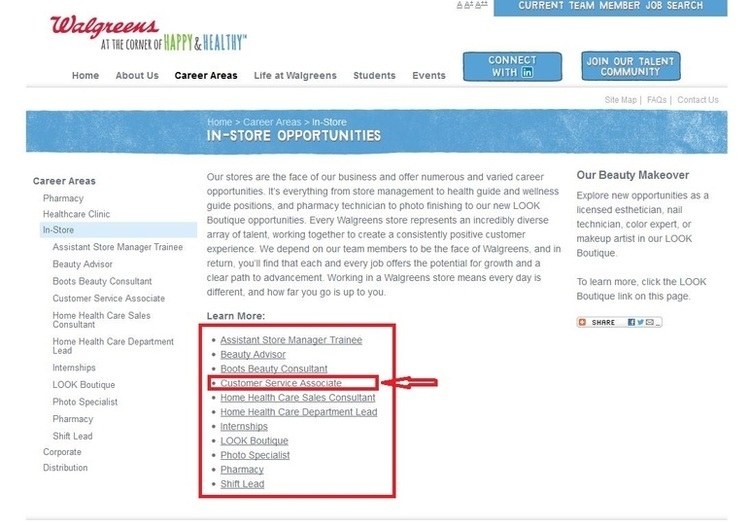 Choose a Walgreens Career Area like the typical example given in the figure, and click “LEARN MORE ABOUT IN-STORE JOBS AND APPLY” to proceed. Learn more about the In-Store Opportunities, choose your position of interest. 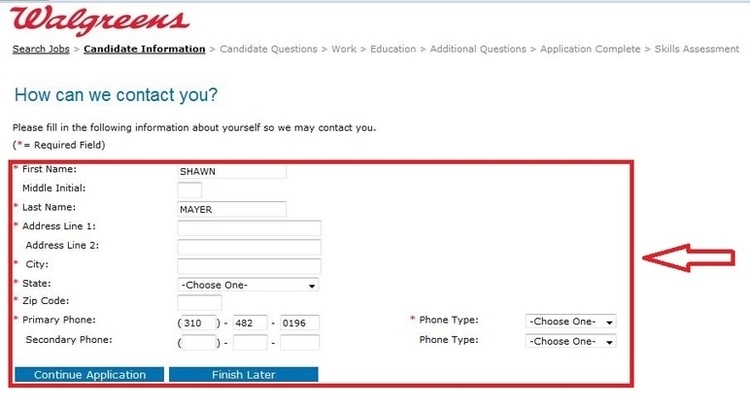 Read the job duties carefully and click “apply online” after your second thoughts. There is an answer list of Frequently Asked Questions at your reference, click “FAQs” in the tho right corner if you need. 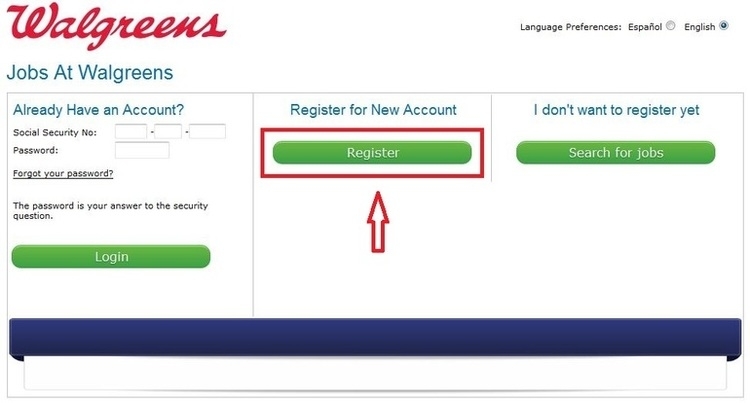 Login if you already have a Walgreens account, or you need to create one, starting from clicking the “Register” button. Fill in your information to create an online account quickly and securely, and click the continue button. Make sure the information you have provided in this registration is true. 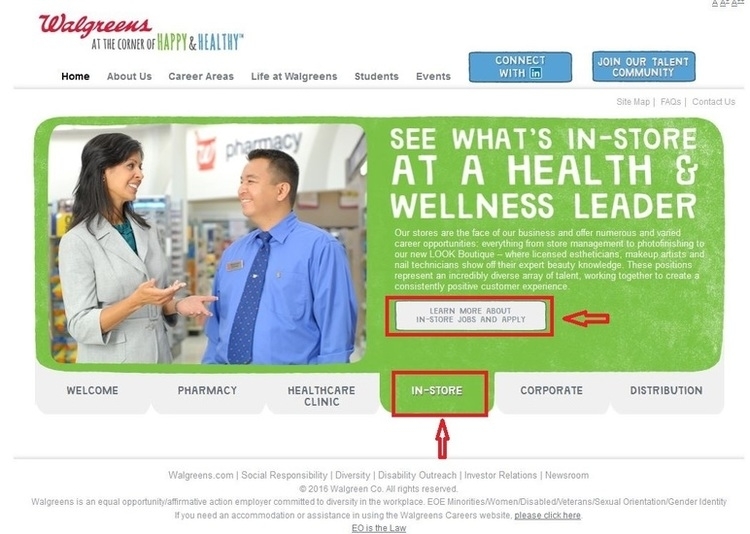 Enter zip code, city or state to find a Walgreens near you, which offers your job of interests. Click “Find Jobs” to continue. Read the statement carefully, fill out your name and the last four of your SSN and click both the " I Accept " button and the " Electronic Signature " button appearing at the bottom of the document. Leave your contact information so Walgreens may contact you later. Click “Continue Application” to continue. 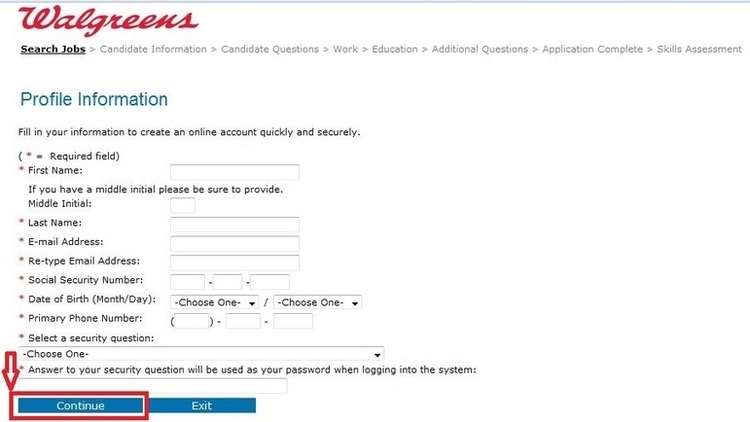 Answer several simple questions asked by Walgreens to ensure a professional working environment and to support applicable hiring laws, and click “Continue Application” to move on to the final step. 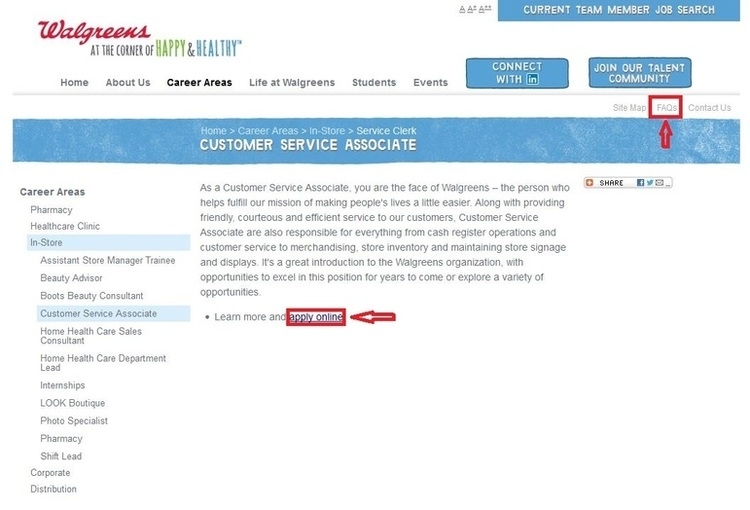 Click jobs.walgreens.com to apply for Walgreens jobs online.